This time of year, there’s much to be thankful for: friends, family, successful hunting trips, etc. Today is Giving Tuesday, which was started as a small charitable counterpart to Black Friday and Cyber Monday. On this day, many organizations are asking for your contributions to help fund habitat projects, homing dogs, and much more. 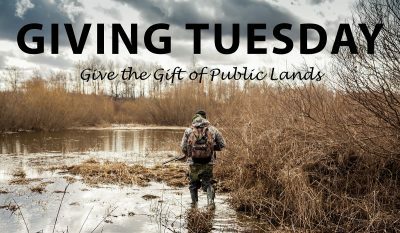 The post 7 Outdoor Organizations to Support This Giving Tuesday appeared first on OutdoorHub.